It’s not there yet, though. 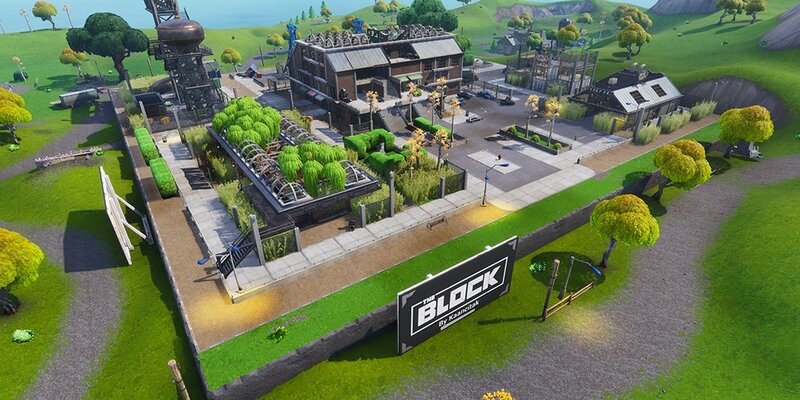 Grimy Greens by kaancitak will be the first fan-made Fortnite area to make it to The Block and become available to every Fortnite player, developer Epic Games confirmed today. Epic said its release will be delayed and will go live at a later date. Players who want to explore the area before it’s added to the game can do so in the Creative mode using the code 8641-0487-1161. This special factory Grimy Greens is full of trees and was made and submitted to developer Epic Games. Kaancitak used the new Fortnite Creative game mode to build the area within the restrictions imposed by the company to feature the creation in Battle Royale. Grimy Greens was selected by the developer and will be added soon to all Fortnite game modes. It will be where The Block is, north of Wailing Woods and northeast of Tomato Temple. Related: 14 Days of Fortnite brings a Holiday event to the game with new skins. Players who drop on that area will find what seems to be a factory that uses plants and trees for its operations. There’s a greenhouse to the southwest with healthy trees growing out of the structure. The main building in the center seems to have four floors, and is probably the factory or a very oddly looking office. There are other smaller structures around the main building, like another house with grass around it, a three-floor building under construction, and what seems to be a small tower like the one at Retail Row. Epic has yet to mention if it’ll also make visual changes to this fan creation to better fit the Holiday theme coming with the Christmas event 14 Days of Fortnite tomorrow. Kaancitak may go down in history as the first Fortnite player to get a creation featured in the main game. Dot Esports reached out to Epic Games for confirmation.